Just a couple of decades ago, silky-smooth inline-sixes purred under the hoods of our cars, and the world was a great place because of it. But those glory days are over, and package-friendly, boring V6s have taken over. Except now, thanks to the car gods, Mercedes is officially bringing its inline-six back, and with a lot of horsepower. Modern V6s are lame; they sound terrible, they’re not especially smooth, and without turbos or supercharges, they tend to lack low-end torque. 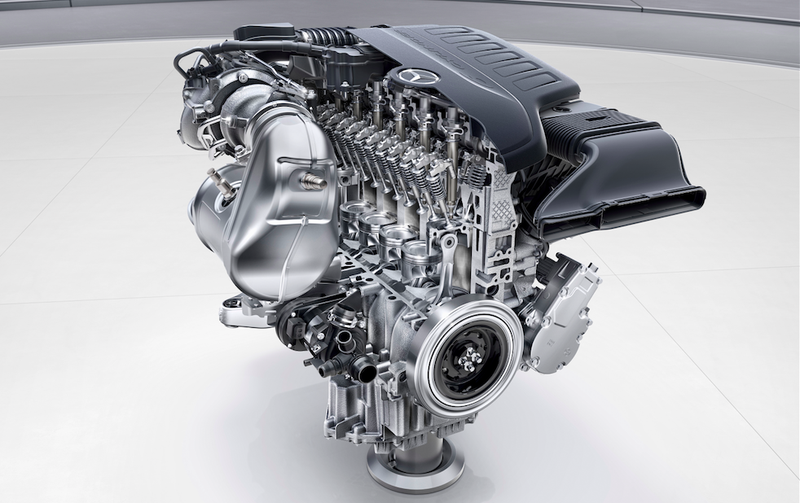 That’s why I’m so excited for Mercedes’ recently-announced M256 inline-six engine, an engine that we suspected was on its way into the 2017 S-Class, and perhaps into other Daimler products thereafter. The engine is part of a new family of engines from the Stuttgart-based automaker—a modular family that includes gas and diesel inline-fours, gas and diesel inline-sixes and a gas V8, all of which have identical bore spacing of 90 mm and identical “interfaces to the vehicle,” which I assume refers to the bell housing bolt pattern. All four of these engines will be offered in the new 2017 Mercedes S-Class. But the crown jewel of the family is the 408 horsepower gas inline-six. Mercedes says the inline-six has been “systematically designed for electrification,” and that it will come with an Inline Starter Generator, or ISG, that drives the crankshaft. The ISG is comprised of a motor that starts the engine during engine start/stop events, provides up to 15 kW of boost to move the car off the line quickly, acts as an alternator for the 12-volt system, and provide energy recovery during braking or coasting. The ISG is part of a 48 volt system, which drives an electric water pump, an electric AC compressor, and an electric auxiliary compressor that Mercedes calls an eZV. This means there’s no belt-driven accessory drive, reducing overall engine length—a godsend for an inherently long engine like an inline-six. So to recap: this 3.0-liter turbocharged inline-six, with its electric motor/generator, electric turbocharger, electric water pump and electric AC compressor, is a thoroughly advanced contraption that promises more than 408 horsepower and 370 lb-ft of torque. The car gods have answered our prayers. 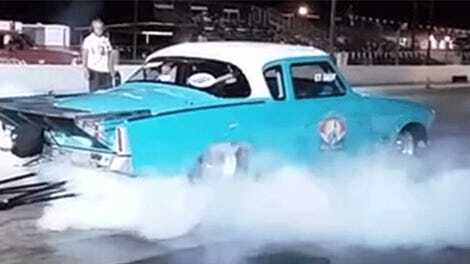 Who Says You Need A Foreign Car To Get An Inline Six?